Swan Care Residential Home is set in the tranquil Village of Tillingham within the county of Essex. We have 18 single rooms and 1 shared room for Elderly people and people with Dementia aged 65 years and over. We have a GP visit weekly , District Nurse team and Chiropodist. We also have other visiting professionals e.g. Dieticians, Physiotherapists and Speech and Language Specialists if needed to ensure the best quality of life for our residents. We have an Activities Co-ordinator who arranges an activities schedule that takes into account all of our residents individual requirements. Activities are planned individually and in groups. Some residents attend weekly Wednesday Club and enjoy a chat, cup of tea and activities with people that live in the Village. We also arrange outings throughout the year and the Christmas Pantomine is always a favourite. We also arrange fundraising events to raise funds for Residents trips but also other charities such as McMillan and Alzheimers Society. All of our staff at the Swan Care Home are trained in Dementia Care to enable the specialist care needed and staff provide compassionate care that is focused around the individual needs of each Resident to ensure residents are treated with dignity and respect and remain as independant as possible. We have a wet room and bathroom that has a specialist bath, a wonderful garden area where residents can enjoy time with their families and a lovely bright conservatory. All rooms have television points and are tastefully decorated to provide a homely feel and all residents can bring in from their home items to make their room more personal to them. Catering staff at the Swan Care Home provide nutritious and delicious meals that are prepared each day. Specialist diets are catered for and a varied Winter and Summer menu is rotated on a 4 weekly basis and uses the best of the seasons produce. Swan Care Home is pleasantly situated within Tillingham a small village within the distract of Maldon. With few local amenities it does have an idyllic location with a couple of local pubs a visiting mobile library and a local post office/grocery shops. With little public transport driving is the best mode of transport. To enable residents to lead a fulfilled life in the home, maintaining contact with family and friends, and to establish new links in what for some will be a new community and experience. To provide the appropriate amount of care and support by our trained staff, together with maintaining and establishing community links and support from Doctors, Social Workers and other external agencies such as Advocates and District Nurse’s. To encourage residents to work towards maintaining their independence; having a greater involvement in their care and in how they wish to live their lives, through choice, privacy, dignity and respect. Residents may remain with their own GP whilst in respite care but for residents moving into Swan Care Home on a permanent basis we find moving new members of our family, over to our local Tillingham Medical Centre, ensures that they get full attention from our local GP services and the medication they may require in a timely manner. We ask our GP to visit on a weekly basis and find this a preventative measure to aliments that may require immediate attention or can be prevented from occurring if possible. Residents who maybe under the care of specific consultants for hospital consultations will continue to use the NHS services as they have been if still applicable. We don’t encourage residents to have a lot of money on them for insurance and safety reasons. However, there are safe deposit boxes placed in some of our rooms and a general safe within the manager’s office if relatives or residents wish to keep cash available. All services provided within Swan Care Home will be charged by RG Care and an invoice sent to the responsible person for the resident’s finances or to the resident directly for payment. Residents do not as a general rule control and administer their own medication. It is of the upmost importance that drugs prescribed are taken on a regular basis to ensure that there is no deterioration of current physical or mental well-being, staff are there to ensure medication is given as prescribed. Risk assessments are conducted for those who wish to self-medicate. Meals are usually taken together in the dining room, however some of our residents prefer to eat in the conservatory and some may find that they choose to eat in their room. Residents and staff work together to plan and select a well-balanced diet and a nutritious four weekly summer or winter menu is displayed. The menus are rotated over a four-weekly period and are usually changed around October and March. Residents are free to come and go as they please if they are risk assessed to do so safely. In the interests of their own safety Swan Care Home has a locked door system and a signing in/out book for relatives and visitors. We encourage relatives and friends to take their loved ones/friends out as much as they are able in order to maintain their independence and links to the community. Swan Care Home is in a small village called Tillingham in the district of Maldon. It has limited access to public transport although it does have a bus hourly running through the village which goes from Bradwell to Southminster. Links to mainline bus and train routes are via Southminster where you can get a train to Chelmsford picking up the busier routes into London and the North. During the day, we have an activities co-ordinator who will prepare and plan events and organise one to one activities for those who are willing and able to participate. Events such as coffee mornings, fete’s and supporting events in aid of charities such as the MacMillan and the Alzheimer’s Society are carried out throughout the year. Trips are arranged to local places of interest and some residents tend to enjoy attending the local theatre productions especially around Christmas times. A complaints procedure is in operation at Swan Care Home and of course we are regularly inspected by the Care Quality Commission (CQC). If you have any concerns or queries, please make the manager aware or get in touch with RG Care directly via the website:www.rgcare.co.uk. If it is a safeguarding issue you can contact the local social services or CQC direct. There are several ways to keep in touch with your loved ones/friends. We encourage visitors throughout the day and evening however, we should make you aware that there are some busy times in the mornings and throughout the day especially around meal times although you are always welcome to assist at meal times if your relative requires it. If you are unable to visit or simply want an update you could log-on to our relative’s gateway which gives you 24-hour access to your relative’s care notes. Managers and staff are always happy to discuss any issues or provide an update whether you are on the premises or on the phone we are available day and night so you always have peace of mind. These are either covered by the local authority or discussed following assessment of individual needs. There is a strict no-smoking policy within the home, however for those who wish to smoke we have a designated area within the garden. Sands Lodge is run as a family style home for vulnerable adults with a mental health disorder and/or a learning disability. It provides privately owned accommodation for 18 residents with 8 single rooms and 5 shared rooms. Visits from relatives and friends are encouraged and supported. Links with our residents begin when we are invited to become involved. Assessments are made and histories taken to enable us to begin to get to know the individual before coming to stay at Sands lodge. We encourage residents to personalise their rooms by bringing with them photographs, ornaments, books etc. Safe keeping facilities are provided for residents valuables. Detailed background knowledge from the resident and their support workers, relatives and others help us to plan their care. A member of our care staff (Keyworker) will be assigned to each resident to provide support, one to one therapy and to discuss any worries the resident may have. The Keyworker and resident prepare an individualised care plan. This is used to monitor individual progress and to support residents to achieve their goals. Residents are encouraged to participate in day-to-day life as this builds their confidence. As each resident makes progress and shows independence their aims and goals are, with agreement, extended. 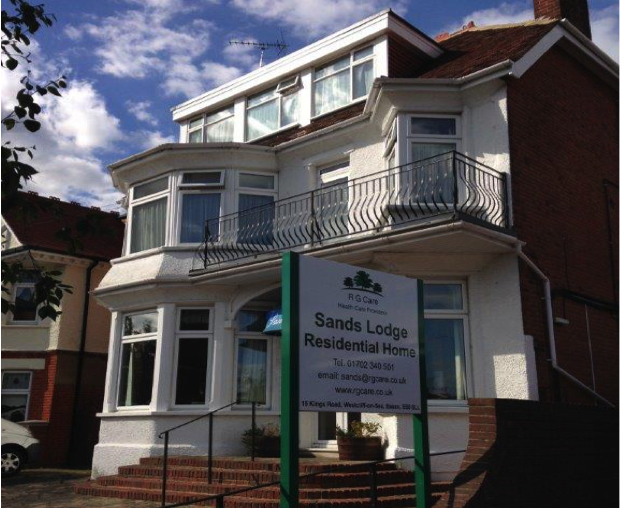 Sands Lodge is pleasantly situated within Westcliff-on-Sea in walking distance from the sea front and close to local amenities, including Chalkwell Park, the library, shops, theatre and local transport routes with Westcliff station down the road. To enable residents to lead a fulfilled life in their own home, maintaining contact with family and friends, and to establish new links in what for some will be a new community and experience. To provide the appropriate amount of care and support by our trained staff, together with maintaining and establishing community links and support from Doctors, Social Workers and other external agencies such as Advocates and CPN’s. To encourage residents to work towards independent living; having a greater involvement in their care and in how they wish to live their lives, through choice, privacy, dignity and respect. Residents may remain with their own GP whilst in respite care but for residents moving into Sands Lodge on a permanent basis we find moving new members of our family, over to our local Medical Centres, ensures that they get full attention from our local GP services and the medication they may require in a timely manner. We ask our GP to visit the home in the unlikely event that a residents is unable to attend the surgery and find this a preventative measure to aliments that may require immediate attention or can be prevented from occurring if possible. Residents who maybe under the care of specific consultants for hospital consultations will continue to use the NHS services as they have been if still applicable. If applicable residents are in control of their medication once risk assessed to be competent at self-medicating. Locked storage is available in all rooms if individuals are required to keep their own medication. It is of the upmost importance that drugs prescribed are taken on a regular basis to ensure that there is no deterioration of current physical or mental well-being, staff are there to ensure medication is given as prescribed. We don’t encourage residents to have a lot of money on them for insurance and safety reasons. However, for those who have capacity staff will encourage and support them to use a bank account facility. For those who need assistance with their personal finances we have the support of our local Court of Protection Officers and we are able to kept a small amount of personal allowance on the premises so residents are able to sign it in and out as required, which is kept in a safe within the manager’s office. Meals are usually taken together in the dining room, however some of our residents prefer to eat in the conservatory. Residents and staff work together to plan and select a well-balanced diet and a nutritious four weekly summer or winter menu which are displayed on the residents notice board. The menus are rotated over a four-weekly period and are usually changed around October and March. Residents are free to come and go as they please if they are risk assessed to do so safely. In the interests of their own safety Sands Lodge has a system of a signing in/out book for residents, relatives and visitors. We encourage relatives and friends to take their loved ones/friends out as much as they are able in order to maintain their independence and links to the community. Sands Lodge is located in Westcliff-On-Sea within Southend. It has plenty of access to public transport from local buses and train station being a short walk from the home. There are links to mainline bus and train routes are via the two Southend stations with a direct link to central London. During the day, we have residents that attend the local college, church groups for coffee mornings or knit & knatter, some volunteer for tasks around the home and there is a small vegetable patch in the back garden where residents take pride in planting and growing their own fruit and veg. Events such as coffee mornings, fete’s and supporting events in aid of charities such as the MIND and Cancer Research are carried out throughout the year. Trips are arranged to local places of interest and some residents enjoy attending the local theatre productions throughout the year and especially around Christmas times. A complaints procedure is in operation at Sands Lodge and of course we are regularly inspected by the Care Quality Commission (CQC). If you have any concerns or queries, please make the manager aware or get in touch with RG Care directly via the website:www.rgcare.co.uk. 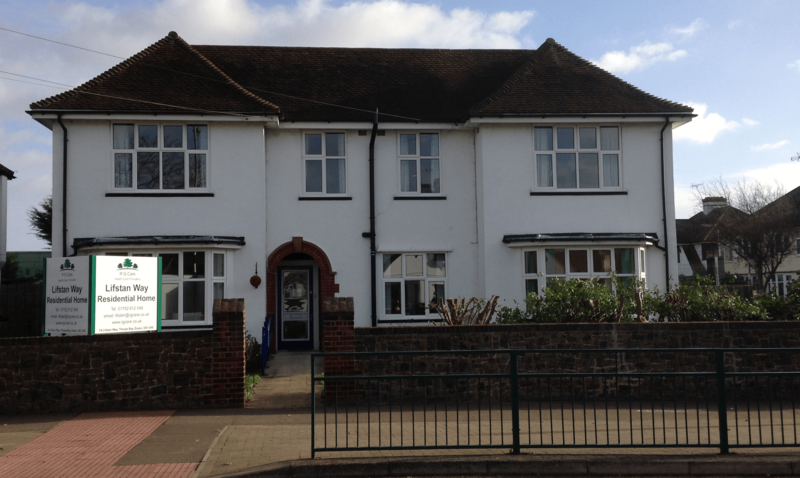 Lifstan Way is run as a family style home for vulnerable adults with a mental health disorder and/or a learning disability. It provides privately owned accommodation for 11 residents with 11 single en-suit rooms. Visits from relatives and friends are encouraged and supported. Links with our residents begin when we are invited to become involved. Assessments are made and histories taken to enable us to begin to get to know the individual before coming to stay at Lifstan Way. 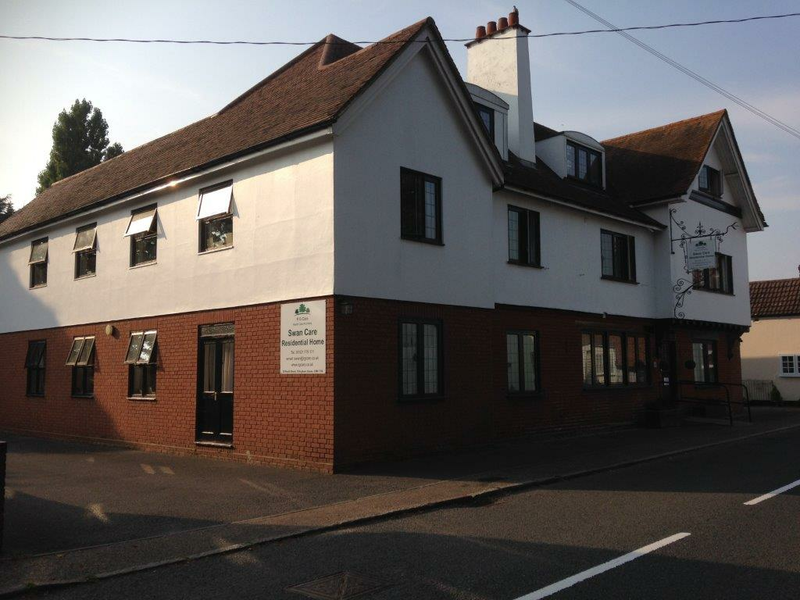 Lifstan Way is pleasantly situated within Thorpe Bay and in walking distance to the sea front. It is close to local amenities, including Southchurch Park, the library, shops, theatre and local transport routes with Southend mainline station a bus ride away. Residents may remain with their own GP whilst in respite care but for residents moving into Lifstan Way on a permanent basis we find moving new members of our family, over to our local Medical Centres, ensures that they get full attention from our local GP services and the medication they may require in a timely manner. We ask our GP to visit the home in the unlikely event that a residents is unable to attend the surgery and find this a preventative measure to aliments that may require immediate attention or can be prevented from occurring if possible. Residents who maybe under the care of specific consultants for hospital consultations will continue to use the NHS services as they have been if still applicable. Residents are free to come and go as they please if they are risk assessed to do so safely. In the interests of their own safety Lifstan Way has a locked door and a system of a signing in/out book for relatives and visitors. We encourage relatives and friends to take their loved ones/friends out as much as they are able in order to maintain their independence and links to the community. Meals are usually taken together in the dining room, however some of our residents prefer to eat alone and can do so outside of the main mealtime. Residents and staff work together to plan and select a well-balanced diet and a nutritious four weekly summer or winter menu which are displayed on the residents notice board. The menus are rotated over a four-weekly period and are usually changed around October and March. Lifstan Way is located in Thorpe Bay within Southend. It has plenty of access to public transport from local buses and train station being a short walk from the home. During the day, we have residents that attend the local college courses, go swimming, walking, attend groups outings such as coffee mornings or a walk over to the local park, some volunteer for tasks around the home and there is a small vegetable patch in the back garden where residents take pride in planting and growing their own fruit and veg. A complaints procedure is in operation at Lifstan Way and of course we are regularly inspected by the Care Quality Commission (CQC). If you have any concerns or queries, please make the manager aware or get in touch with RG Care directly via the website:www.rgcare.co.uk.